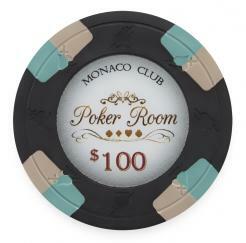 The Monaco club poker chips are clay poker chips that have a 3 color chip mold and features imprints of a sword striking through a spade around the chip face. The inlay is compressed onto the chip and laminated with a thin layer of vinyl. 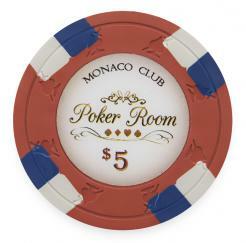 (same as a real casino poker chip). 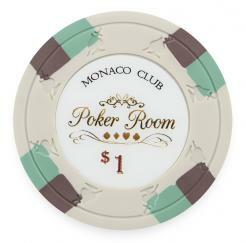 We highly recommend this chip style. 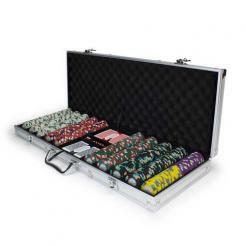 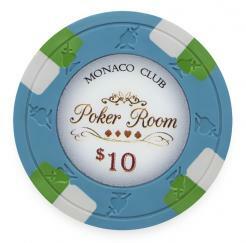 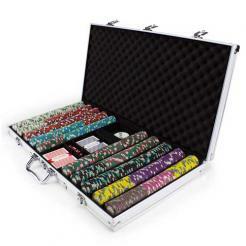 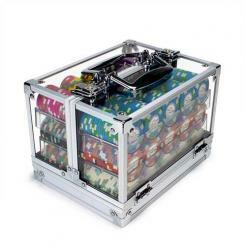 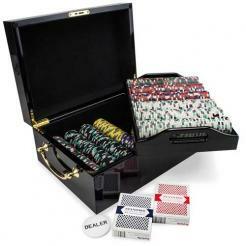 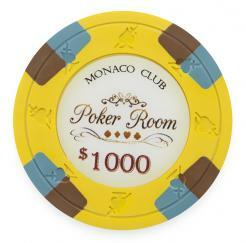 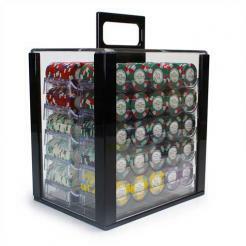 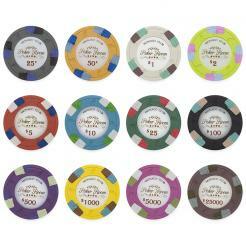 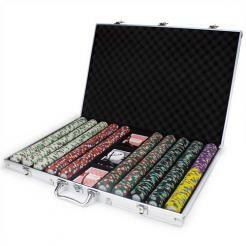 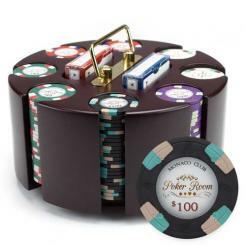 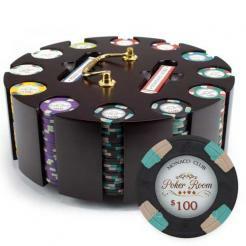 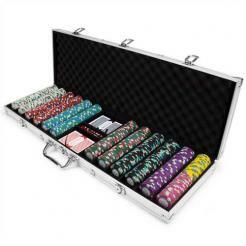 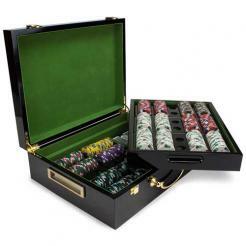 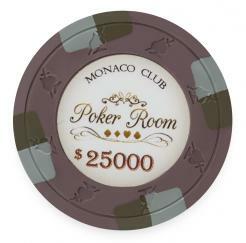 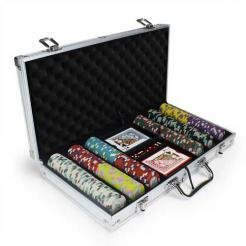 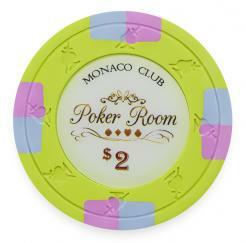 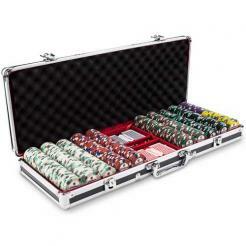 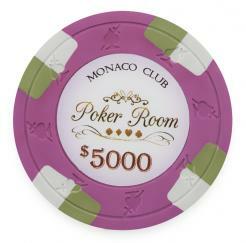 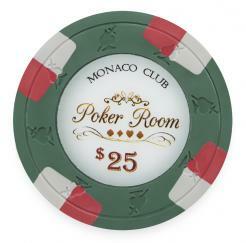 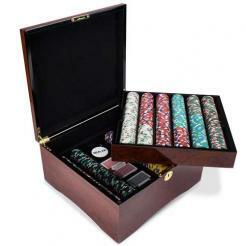 The Monaco Club poker chips are available in 12 colors with denominations. 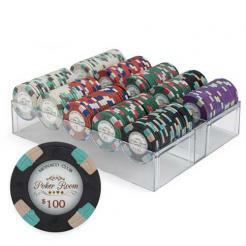 They may be purchased in bundles of 25 chips or several chip set options. 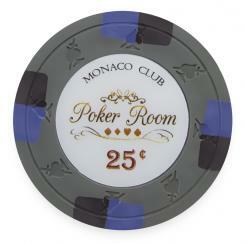 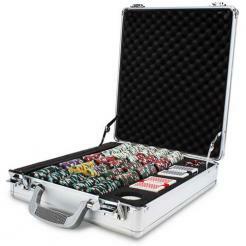 All of the Monaco Club poker chip sets can be customized by you. 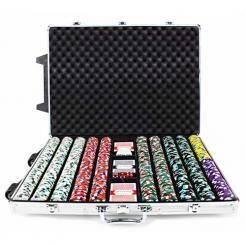 You select how many of each chip you want in your set!